Hello again! Thank you for reading this third post on my adventures in motherhood. I must reiterate that these are my experiences only! I am a first time mama and though I have had experience with babies/kids in the past, there is and was a lot that I did not know! I also want to share that given the fact we have been under a bit of sleep deprivation, the order of these are in no order as I’m writing these points down as they come to mind. 🙂 Thank you for understanding!! 22. All babies hate diaper changes at first. 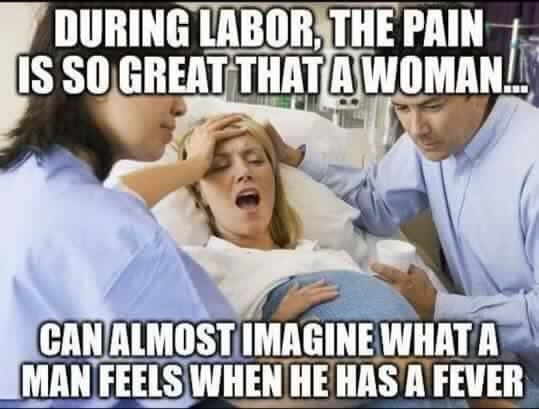 They cry every time for at least a few weeks. This is tough on you because you’re changing the diapers so often and it’s just difficult to hear your baby cry. 23. You will be flooded with unsolicited advice. Ok I knew this already. BUT, I did not know the extent of it. People are very passionate about what’s expected of moms and how they raise their kids. If it worked for them, it should work for all, right! WRONG! Now, hear me out… Everyone obviously means well in trying to help you and offer their suggestions and opinions but what it really comes down to is what works for you and your baby. No one else. You just have to say thank you and take what you want from it if anything at all. I’m still working on this – it is an everyday challenge. This leads me to my next point..
24. Not only is having a baby purely a challenge, but keeping your boundaries is also. 25. Nothing ever stays constant except the fact that you will be tired. All. The. Time. What works one day may make your little one wail the next. For example, when your baby is crying and you’re trying to calm him down, you could have 6 different ways you know helps. Trying each way more than once may be necessary before any one attempt works. Every day is different. What entertains your baby one day may not interest him at all the next day. So… For those people like me who like routines or consistency, just give in to the crazy. 26. You’ll never get to sleep like you used to. As a mom you somehow sadly get used to getting up all the time at night. And when your baby hits you with a long stretch you STILL will wake up a lot of time! Or you get some time to nap because someone is watching him or her and you can’t sleep!! It’s such a torturous cycle. Babies need enough sleep during the day for proper brain function. Do your best to not let your baby get overtired. It’s a constant battle over here in this household. 28. Be prepared for most everything pertaining to the baby falls on mama. We grew them in our bellies. These things are just more natural for us mamas. Guys have to learn it all. And it’s tough!! 29. Get used to eating your food cold as a mom. Especially if you’re breastfeeding. You’re at the baby’s beckoning call and often times when the food is hot, so is your milk for your little one! 30. The first year of your baby’s life is the most challenging for your marriage. Ok I knew this. But I didn’t KNOW this like I do now. I mean where do I start?? Every. Single. Thing. Is different. You will no longer spend your evenings doing the Netflix and chill thing. Or making elaborate dinners. Or hosting lots of guests for meal. Or. jumping up and going somewhere for the weekend. Or going out on the town with friends. Or going on long hikes. You know what I mean right? Ok maybe some of you do these things with infants but I have not experienced this just yet. It’s just much more complicated. Your freedom is temporarily gone. Your time spent together has diminished. Your social life isn’t quite where it was before the baby. All of these crazy moving parts surrounding this new little being are now your focus. It’s not that it’s bad. It’s just totally different. And difficult to adjust to. Communication is your savior. And date nights. 31. If you’re an extrovert like me, cabin fever may drive you crazy. If I could I would have back to back plans all day long. I love to be on the go and busy! And now, with a baby, I find myself more inside my home more than ever! Yes I get out for walks and quick outings to the store etc. but it’s nowhere near the same! I love entertaining and socializing and being around people. 32. Stop looking for the right way to do things, and just do what works for you and your baby especially in the first few months. Just survive. Keep your baby alive. 33. Sorry guys – but there isn’t a ton for you to do in the beginning months. Especially if she’s breastfeeding. Cleaning the house, grocery shopping, meal preparation, errands and holding the baby to give mom a tiny break!! 35. As a new mother with a newborn you will hardly have time for anything or anyone else but your baby. 36. Your baby’s laugh could cure cancer in your eyes. It’s the most ridiculously cute sound you’ve EVER heard. Ever. 37. They grow up so fast. Seriously. It’s a bit crazy! Yes I know I knew this before but the reality of it is nuts😱Weirdest phenomenon. Every day feels like it goes by soooooooo slow but the weeks fly by. You go from giving birth to a 3 month old! It’s unreal. Categories: Motherhood | Tags: baby, child, communication, cute, exhaustion, family, husband, infant, love, marriage, Mom, mother, Motherhood, no sleep, real life, reality, sleep deprivation, son, survival, three months old, wife | Permalink.